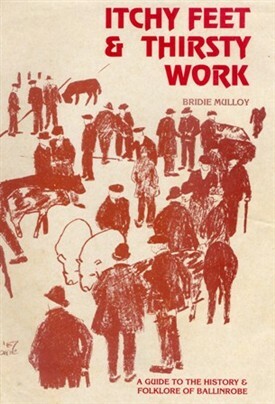 Long before modern technology and digital devices arrived, Bridie Mulloy (Nee Gunning 1919-2009) lived and worked in Ballinrobe, Co Mayo. Born at Ballindoon, Co Sligo, Bridie has an early curiosity about folklore, which developed into a lifelong interest; years later she spent many hours walking and talking to the Ballinrobe community collecting stories, tall-tales, events and photographs, while writing them down over many evenings in long-hand. 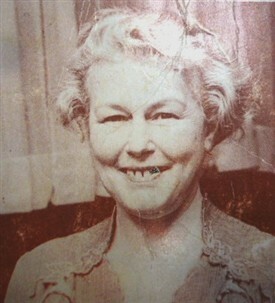 She had excellent experience at eliciting the most interesting stories a national competition for school teachers in the 30s, invited entrants to submit an example of their work to the National Folklore Commission; Bridie was successful and eventually submitted 21 manuscripts to Irish Folklore Department. She and her husband Tony, an Achill man, who had been Principal of the Ballinrobe Vocational School (d 2008) ran a very popular guest house in Ballinrobe, giving a warm welcome to their guests and provided delicious food; no wonder they were booked out so often with guests like Pat Wallace and George Burrows. A pioneer of the farm guesthouse movement Bridie worked as an Irish Farm Guesthouse Advisor travelling all over Ireland in the 60s. She got to know and had lasting relationships with many Irish women from diverse backgrounds who were setting up their own small business across Ireland. She became a regular contributor to local and national newspapers and magazines with her contributions including projects for the Farmer’s Journal, Woman’s Way, and the Irish Countrywoman. Her monologues have featured on RTE and Mid-West Radio. Bridie also wrote poetry and her book drew its inspiration from a wide range of subjects and sources, including The Lazy Old River Robe [see below], The Scolding Wife, Christmas Night and The Meitheal. Bridie died on 10th October 2009 at the Sacred Heart Hospital, Castlebar and left behind paintings, which still adorn its corridors. 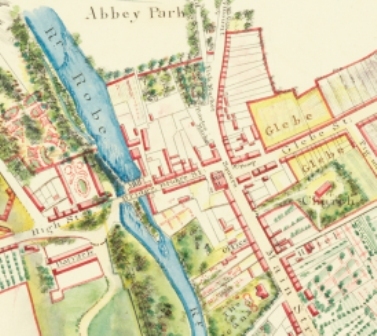 Her history of The Restoration of the Ballinrobe Priory resulted in the visit of President Mary Robinson to Ballinrobe on July 28, 1994 to launch the restoration of that ancient Abbey. We are grateful for her legacies here in Ballinrobe.